The low FODMAP diet, an ideal approach for those with IBS, is a challenging diet to undertake. Not only do you need to have a thorough understanding of high FODMAP foods to avoid, but you also need to be familiar with the right portion. Complicating matters further, some tricky FODMAPs foods even require you knowing how the food was processed. This article helps you figure out the these trickier foods to know whether or not they’re FODMAP-friendly. The low FODMAP diet, created by Monash University in 2005, restricts the intake of fermentable carbohydrates to help improve symptoms associated with IBS. In fact, 50 to 86% of IBS patients have a clinically significant response to the diet (1). Essentially, these foods provoke IBS symptoms by producing excess gas (fermentation) and pulling excess water into the bowel (osmotic effect). For a checklist of high and low FODMAP foods, go here. Unfortunately, this diet is so not completely straightforward. While one may imagine it’s easy enough to avoid a list of foods, the FODMAP diet also considers the portion and the preparation of the food as measures of its fermentability. 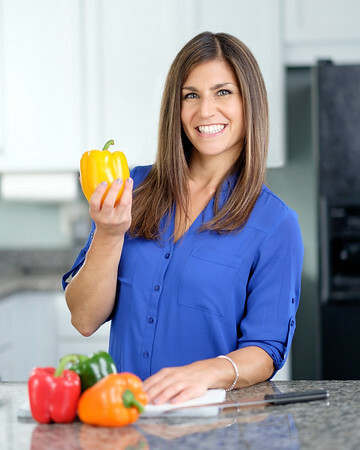 There is a learning curve involved when starting the diet, which is why most FODMAP resources strongly recommend working directly with a Registered Dietitian Nutritionist (RDN). Now, let’s review some of the tricky FODMAP foods that often confuse newbies and even veterans of the diet. This report is based on the findings of the lab at Monash University, which can be found on their FODMAP phone app. Soy is found in many forms in our food system. Depending on how the soy is processed reflects whether it is a high or low FODMAP food. Typically, soybeans contain both GOS and fructans. However, these compounds are water soluble, meaning they dissolve in water. Therefore, soy foods that remove most of the water content are less likely to contain high FODMAP levels. Additionally, soy products that are fermented and/or do not contain the carbohydrate-portion of the soy are also considered low in FODMAP levels. It is well accepted that wheat, barley, kamut, spelt and rye are high FODMAP grains. With the creation of sourdough bread, the fermented flour from these grains are lower in FODMAP levels. The caveat is the FODMAP content can vary depending on the brand of these breads! Pick breads leavened with sourdough culture, also referred to as “slow leavened” breads. On the same note, avoid products that contain yeast as they are typically faster to rise and contain higher FODMAP levels. Consider trying a small portion of sourdough bread to test your tolerance. Dairy can be a tricky FODMAP food because not all dairy contains high lactose levels. The fermentation of milk as well as the removal of liquids in dairy products removes most of the lactose. Additionally, the low FODMAP diet is not 100% free of all lactose. Therefore, small amounts (<1g per serving) of lactose is still considered low in FODMAPs. Here’s an excellent resource summarizing the lactose content of various cheeses. Keep in mind that lactose is a type of sugar or carbohydrate. Therefore, check the label of the dairy product for the carbohydrate content. If it contains 1 gram or less of carbohydrates, than it is probably a safe bet! Corn is another food that presents in different forms in our food system and creates confusion in the FODMAP diet. Corn typically contains GOS and sorbitol. However, the processing and the portion help decipher if corn is on the high or low FODMAP list. Keep in mind that products containing corn fiber have an unknown FODMAP level since this type of fiber has not yet been tested in the lab. When I first started learning about the FODMAP diet, condensed tomato products were classified as high in fructose content. Times have changed with updated research. Now, most tomato products are on the low FODMAP list. The only product to be aware of are sun-dried tomatoes, so keep your portion to 2 pieces. Additionally, many tomato products like marinara sauce, ketchup and canned tomatoes often contain garlic, onions and HFCS for extra flavor so make sure to check labels for these high FODMAP ingredients. Here’s a low FODMAP marinara sauce to try out. Coconut foods are growing in popularity and are consumed in various forms. Coconut can contain GOS, fructose and polyols. Based on the portion and the processing of the coconut product, the FODMAP content varies. The low FODMAP diet can be tricky to follow. While it’s a good idea to familiarize yourself with the high and low FODMAP food lists, it’s also important to refer to the Monash University FODMAP app or website for a more thorough reference. Keep in mind that portion and processing play big roles in the FODMAP content of foods. The portion is represented per meal; therefore, FODMAP meal planning is an important part of the elimination phase of the diet. Before starting a low FODMAP diet, consult with a dietitian (like myself) to ensure a successful experience.